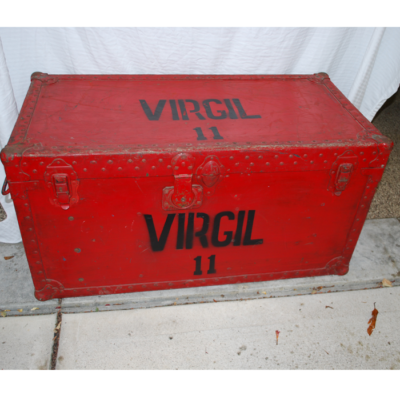 Home / Miscellaneous / Decorative / The Great Virgil Show Trunk: guaranteed original! The Great Virgil Show Trunk: guaranteed original! 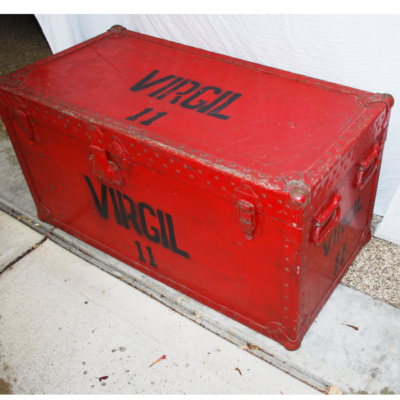 Original Virgil Show trunk. Great for a coffee table! 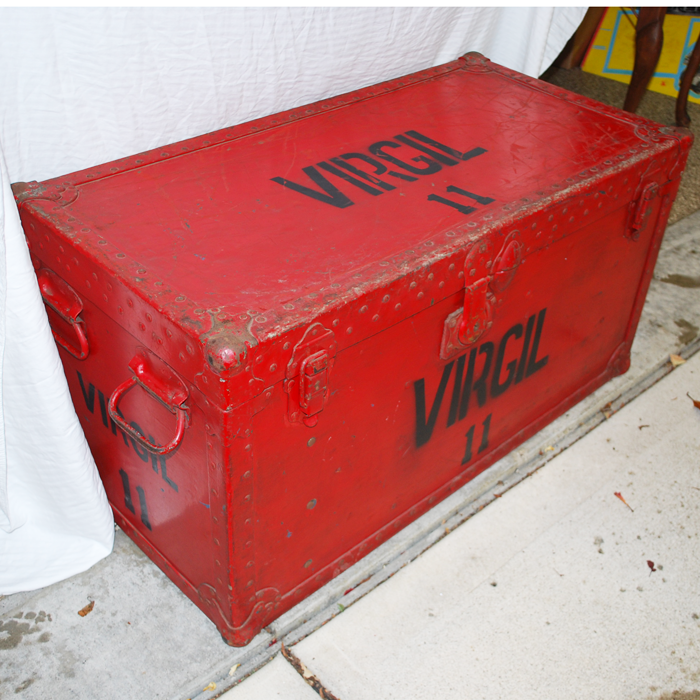 This is an original, all metal, Virgil The Great Show Trunk that traveled with him all over the world. 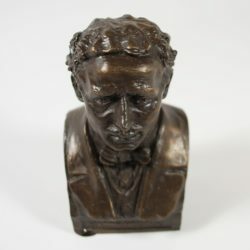 It is in very good condition bearing the scars you would expect. The latches work but the middle latch does not lock. 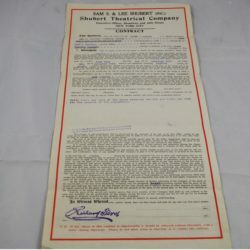 This would make a beautiful coffee table or magic room table. 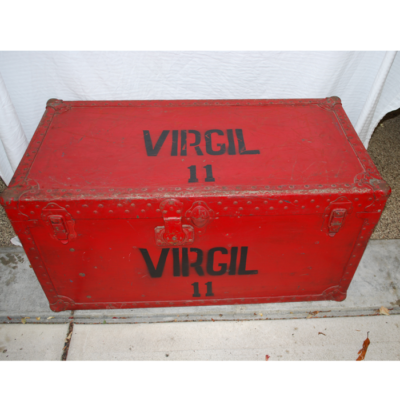 The dimensions are 321 by 19 by 18, I don’t usually quote auction results but since this is an unusual piece I will say one like this just sold for a very reasonable $600 in a recent Potter auction and it had a cracked lid. 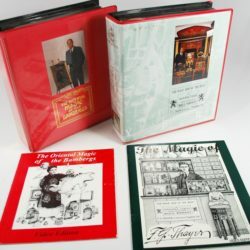 Your chance for a piece of history and a beautiful addition to your home or magic room!